Who should become certified as a Venice Nutrition Coach or Health Coach? The Venice Nutrition Certification is for any individual or business that wants to be able to teach and implement nutrition advice in their practice to help their clients get improved results. This can include business owners with an established client base, or entrepreneurs just starting out on their journey to building a fitness, nutrition, or wellness practice. In short, this is for any person or business that wants to learn how to make a difference in other’s lives or build their own nutrition consulting business. There are many reasons why you should choose to take the Venice Nutrition Certification. If you’re looking for a proven method for helping clients lose weight and increase their metabolisms or prevent diseases like diabetes, a method based on physiology and balancing blood sugar, then the Venice Nutrition Program is perfectly aligned to your goals. Mark MacDonald and his Licensed Coaches have trained tens of thousands of people on the plan with incredible success. If you want to have access to tools that make it easy to give your clients actionable advice that gets results, then our certification program is ideal for you. You’ll have all the tools you need already done for you so you can start helping clients right away. The IBNFC overseas all meal plans and nutrition guidelines so you can be sure that your information is up to date and safe to prescribe to clients, freeing you to do your job more effectively. The Venice Nutrition Software gives you and your clients powerful meal planning tools and much more to make the transition to a healthy diet easier and more enjoyable. Mark MacDonald and Venice Nutrition are regularly featured on TV and in the national news. Mark is a regular health and nutrition contributor to CNN and HLN news and his NY Times Best-Selling Book “Body Confidence” and his new book “Why Kids Make You Fat” are perfect ways to introduce your clients to nutrition coaching and health coaching. Aligning yourself with an established brand and personality gives you the advantage over the competition. the weight loss, fitness, and alternative health industries are billion dollar industries and one of the fastest areas of growth in the economy in America today. 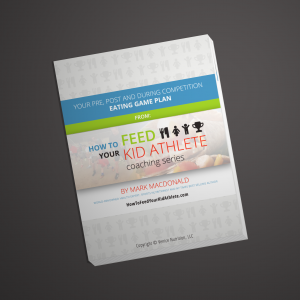 If you want to help fight the epidemics of obesity and diabetes, or if you simply want to educate your community, your athletes, or your children on proper nutrition principles, then this will allow you to do it. When you take the Venice Nutrition Certification, you are not just another number. You become part of the community of people making a difference in the lives of others. You’ll be a part of our social groups, coaches network, seminars and events, and much more that will support you every step of the way on your journey.